Videogames | They Can't All Be Zingers! This is my video games portfolio page. Here, you’ll find a list of some of the projects I’ve worked on in the games industry, along with links you can follow to learn more about them. It’s a mixture of stuff I’ve designed, stuff I’ve produced, stuff I’ve done the music for and some stuff I helped with quality assurance. I was creative director on this title. I co-designed and directed the game. I was creative director on this title. I created the game concept, art, audio and designed the levels. I was creative director on this title. I created the game concept, art work, audio and half the levels. I worked on the soundtrack for this puzzle game. I managed an external development team, Proper Games, who made the DLC for Crackdown 2. I was a producer on Need for Speed: The Run on 3DS and Wii. I was lead designer and producer on this action arcade game for Atari, and also wrote the music and sound effects. Atari provided Razorback with a rough brief for a platform game about love and I took that brief to create The Chase. It was Razorback’s first forray into creating original IP. I was responsible for overseeing the design and production of audio assets from an outsourcing company during for this project. 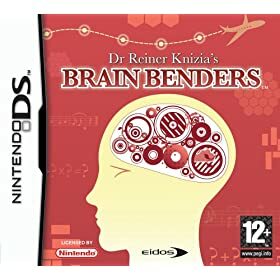 I was producer on this compilation puzzle game for Eidos, and also wrote the music and designed the audio. I was producer on this film licensed title. 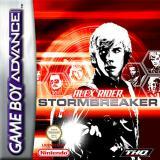 Being producer on this title for THQ was my first job in the games industry. I co-performed and co-wrote the music for this PC Indie-game with my friend Mr. Nahkman. I worked on QA for Llamasoft’s landmark abstract shooter Space Giraffe for PC. I also beta tested Gridrunner Revolution for Llamasoft.